Baba's Café is a vegan vending and catering company with a pop up shop, located in the Historic Crenshaw District, a hub for African Diasporic culture. Offering a wide array of vegetarian dishes, we specialize in Vegan Veggie Patties. Baba's Cafe started in 2013 as Wo'se's Gourmet, and expanded into Baba's Vegan Cafe Catering in 2014 in efforts to get a brick and mortar space to offer more. South LA is a healthy food desert, over saturated with fast food restaurants, liquor stores, and grocery stores that offer non-organic, genetically modified produce. Veganism is about more than what you choose to consume; it's about a humanitarian approach to life that goes beyond what meets the immediate eye.​ Baba’s café directly provides a solution to this problem by offering healthy, affordable and accessible food to the community at large. In turn we are committed to raising the level of health consciousness in our community and improving the access to life affirming services. We believe when you align with your higher self, you align with the heart of the community; serving your purpose, ultimately, benefiting all. Wo'se Kofi (Afi-Shabaka) is a culinary artivist, Los Angeles native and community activist with a passion for inspiring others to aspire to healthier living. Born vegetarian, he turned vegan after high school has lived the daily vegan dilemma of living in a healthy food desert. A place where the only options for the average income person were fast foods restaurants. Overcoming life's obstacles growing up in the inner city, he continues to play a role in his community. 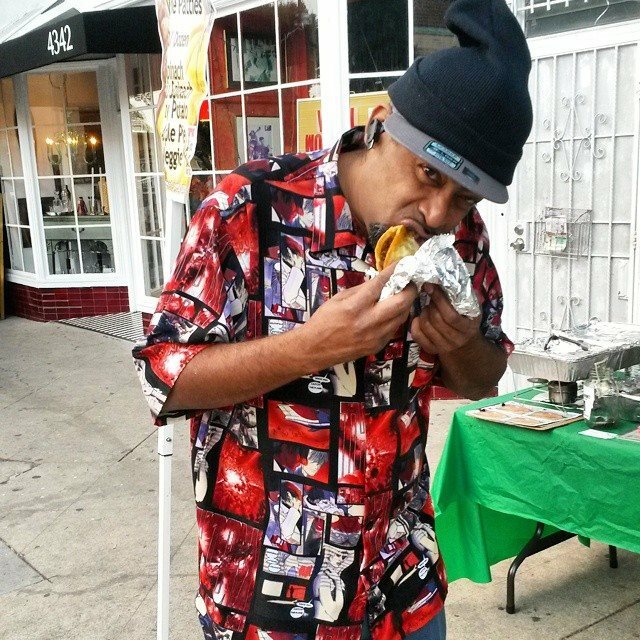 Wo’se Kofi has been instrumental in the conceptual development and establishment of the Leimert Park Art Walk, a community-driven monthly event featuring local artists and their artwork, allowing local (and non-local) community members to connect around art, music and cooperative economics. Wo’se Kofi studied business management at Cal State University, Dominguez Hills, has established a successful vegan catering company, Wo’se Vegan Gourmet, and provides valuable consultation around fundraising, fund development, marketing and promotions (with particular expertise around social media) to local businesses and non-profit agencies. Wo’se believes the first step to up-liftment of the community is through the enhancement of our diet. His mission is to enlighten people on nurturing a vegan lifestyle, "One mouth at a time". 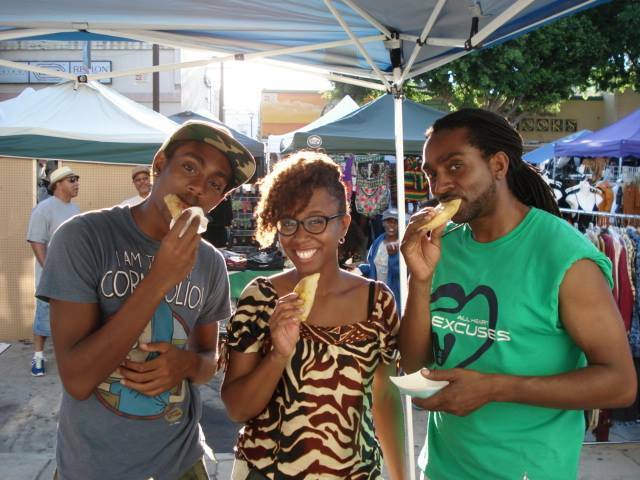 LEIMERT PARK VEGANS for vegans around the world on facebook.